in the State Schools of our Parish. The Catechists of Frenchs Forest teach in the 8 Public Primary Schools and the 3 State High Schools that are in our Parish. We use a program of Religious Education, the ‘Walking with Jesus, Pathways to Discipleship’ curriculum, which is authorised by the Bishop. The CCD (Confraternity of Christian Doctrine), through the Diocese's Parish Support Unit, supports us in our endeavours at the Diocesan and Regional levels. This support includes providing access to resources, training and formation courses. Being a Catechist is passing on the knowledge of God’s love. Fran van Schie coordinates the Catechist Ministry for the Primary Schools within the Frenchs Forest Parish. She can be contacted through the Parish Office 02 9451 5097 or at sacraments@ffcp.org.au. SRE (Special Religious Education) Teacher – these Catechists take on the lead teaching role in the classroom. SRE Helper – these Catechists take on a supporting role within the classroom. They assist with presenting the lesson and classroom management as specified by the SRE Teacher they are supporting. 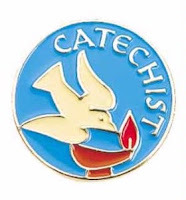 Relief Catechist – these Catechists are unable to commit to weekly lessons but are trained and are willing to take lessons when the regular SRE Teacher is unable due to holidays or illness. Prayer Partners – these Parishioners pray for the success of our Ministry and for individual Catechists. The only qualifications you need to join our Ministry are your love of God, your love of children and your love for your faith. If you satisfy these requirements and have a desire to share your talents and make a real difference in the world, please contact Fran van Schie with your expression of interest. Thank You.